This little boy is 100% ALL BOY. He loves trucks, and planes, and helicopters. He loves his puppy dog. He loves to announce when he's tooted and burped. He loves his Mummy and Daddy and Brother. He will snuggle until the end of time. He's tough on the outside but sensitive on the inside. He's thoughtful. He wants to do everything we can do and I know he wishes he was older. He loves his Froggy and Binky. 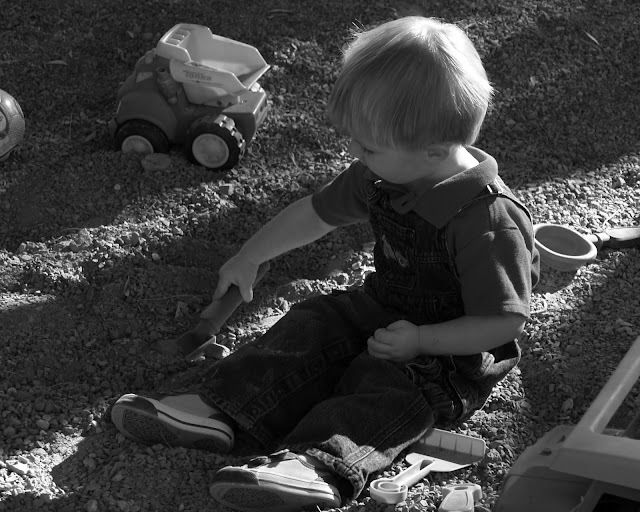 But most of all, he loves dirt....and digging....and building. We love him oh so much!